Once 'The ladies' Man' Charlie Sheen is finding tough to even find a woman to date with these days after sensationally confessing about being an HIV-positive last year, the former "Two and a Half Men" actor revealed during LELO HEX's condom promotion on Thursday. "Right now I couldn't get laid in a women's prison with a handful of condoms. I'm not dating; I'm spending a lot of time with my family." said the actor. The 50-year-old also said that he understands that having HIV is not exactly a woman-puller and thus doesn't want to make a mountain of the issue. "It is what it is, and I don't want to make light of it." he said. When asked about what has changed since first being diagnosed with HIV, he replied: "It's about the other person, it's about protecting them and just being open and responsible." DID YOU KNOW? 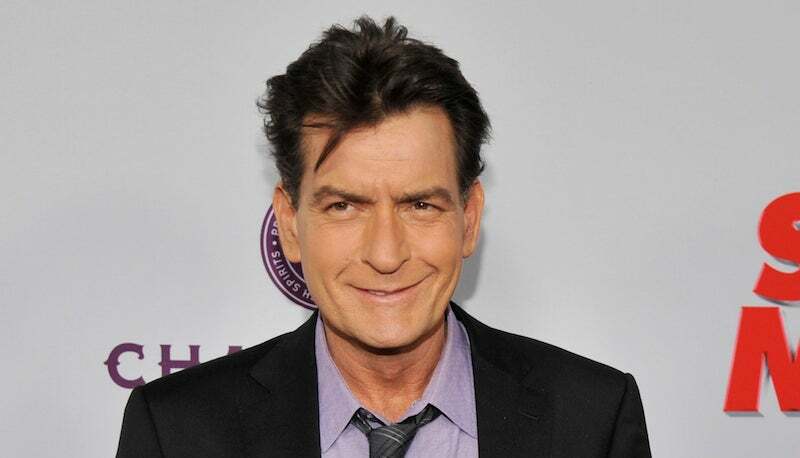 Charlie Sheen, whose real name is Carlos Irwin Estavez, was born a “blue baby”. The doctor who saved him was named “Irwin” and Charlie’s middle name was in his honor, Carlos Irwin Estavez. The Golden Globe winner also claimed that he has a deep remorse over not being careful enough in the past as he said, "Personally, perhaps had the Lelo Hex been around in one or two of those moments, my story would be different."